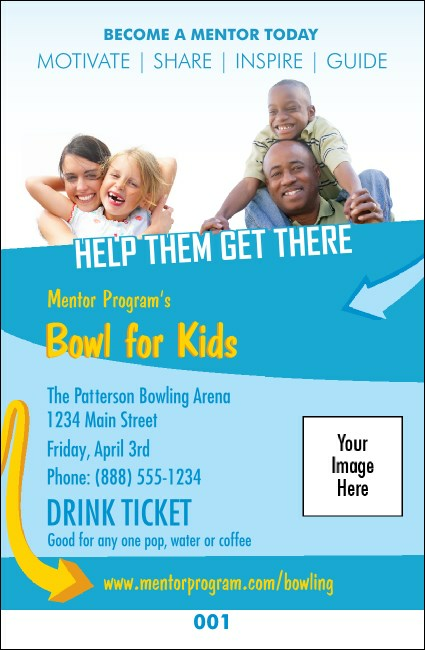 Do a great service for your guests when you take care of the beverages with Mentoring Drink Tickets at your event. Each ticket features pictures of smiling, happy children embracing their mentors. Upload your own image to go with the colorful blue and yellow text that includes all your event details. TicketPrinting.com supports your fundraising success.